With the recent demise of a number of writing websites, such as Squidoo, Yahoo Voices, Helium, and a multitude of others, there’s one mantra online writers are constantly having drummed into their heads: diversify! Don’t put all your eggs in one basket! So, to supplement my contributions here at HubPages, I’ve been diligently searching for other writing sites where I can place articles I don’t consider suitable for this one. They all have their own pluses and minuses as avenues for diversification, and I thought it might be helpful to share what I’ve found. I currently write for HubPages, Bubblews*, Writedge*, Daily Two Cents*, and Persona Paper, and will share what I've discovered through those experiences. I have not written for InfoBarrel, but have spent quite a bit of time trying to determine if that site might be a suitable home for some of my work. I'll briefly share my conclusions. Although I have never used Wizzley, or Seekyt*, I've included some of the information I uncovered about them in a couple of table listings. However, I won't be directly addressing the merits of those sites. Let’s start with some basic stats about each site’s online presence. Unless otherwise indicated, these stats are estimates from the hypestat.com website, and were recorded in mid-March, 2015. In my judgment the HypeStat numbers are not precise, but can be used as a rough indicator of the relative performance of each site in relation to the others. The number of users or members is as reported by the site. 1. HubPages claims 905,267 published hubs as of 3/13/15. But apparently only about 480,000 of these are featured, meaning that they carry ads and are visible to search engines. 2. 88,000 was the number of users claimed by InfoBarrel as of 2/14/12. 3. Seekyt filings at flippa.com when the site was being sold indicate a 3-month average of 1497 unique visitors per day, November 2014 through January 2015. The daily revenue during that period averaged $43.38. These numbers differ significantly from the HypeStat estimates. However, the HypeStat numbers are shown in the table for consistency with the other site listings. 4. The number of Bubblews users was estimated based on the profile URLs of the latest members of the site. Those URLs appear to be assigned sequentially, so the URLs of the newest members reveal the total number who signed up since the site began. Since Bubblews shut down in November of 2015, this information is of historical interest only. The ad revenues for most of the sites (all except HubPages, InfoBarrel, and Bubblews) amount to less than the average daily wage of a worker in the U. S. In fact, many workers earn more per hour than some of these sites earn in an entire day. And, of course, each site's income must be shared among the users who post to that site. I think this chart makes it clear why Bubblews no longer pays any significant amount for residual views. If view counts generated an average of even a fraction of a cent per day for each of their almost 9 million articles, the site’s daily revenue would be overwhelmed by the required payouts. At the time of the initial publication of this article, Bubblews, Writedge, Daily Two Cents, and Persona Paper were all publicly stating that their advertising revenues were insufficient to cover their expenses. Bubblews has since closed down. Writedge and Daily Two Cents no longer pay writers directly (see update below). It appears that Persona Paper continues to sustain operating losses. The long term viability of these sites must be seen as highly questionable. NOTE: An important update concerning Daily Two Cents and Writedge viability can be seen at the end of this article. The following table briefly summarizes the requirements for making posts to each site, and how writers are compensated. Note that Writedge and Daily Two Cents are sister sites, run by the same team of owners. Each hub must pass a quality assessment. 75% of ad revenue. Payout: $50. At least the first 10 posts are reviewed. As of 10/1/15 no longer pays per view [see update]. 400 (Writedge) or 200 (DTC) words. At least the first 3 posts are reviewed. At least the first 5 posts are reviewed. 2 coins/view, 1 coin/comment you make on others’ posts. Payout: $20. 500 characters exclusive of punctuation and spaces. Must submit a writing sample to demonstrate English proficiency. 1. IMPORTANT: Seekyt's new Terms Of Service state the following: "By submitting content to this site, you are agreeing to transfer your original copyright to Seekyt." 2. Persona Paper allows no more than 15 posts per day, and requires a 10 minute wait between posts. Current value of each "coin" is $0.0015. Since each unique view earns two coins, Persona Paper's pay rate is $3 for every 1000 views, which is twice the rate offered at Writedge and Daily Two Cents. It requires 13,334 coins to reach the $20 payout threshold. 3. As of March, 2015, Persona Paper has instituted a blacklist of countries from which it will accept no new members. The reason, they say, is because those countries get a lot of traffic, for which writers must be paid, but contribute little ad revenue to the site. The currently blacklisted countries are the Philippines and India. More may be added later. 4. On Wizzley payments are made directly from advertising partners, not the site itself. Ad network options include AdSense, Chitika, and VigLink. Affiliate linking to Amazon, Zazzle, and AllPosters is available. Here are my conclusions regarding the traffic and income potential of the sites based on my experiences and research. It seems undeniable that HP is now the undisputed traffic champ among writing websites. Although the site has suffered due to recent Google updates, I’ve seen no claims that any of the other sites come close to matching HP’s productivity in both traffic and income. When a hub is first posted, it normally receives an initial burst of traffic from other hubbers. That internal traffic surge usually subsides fairly quickly. However, over time search engine and social media traffic may build and provide long-term passive income. This is the HubPages model. One thing I particularly like about HubPages is that, unlike any of the other sites I’ve written for, it’s rare for any of my hubs to go completely dead, receiving no traffic at all. When it has happened, it’s always been with hubs on topical subjects. When that topic is no longer in the news, interest in those hubs naturally fades. The InfoBarrel model seems similar to that of HubPages. However the anecdotal evidence is that for some reason, many IB articles are not being well indexed by Google. Responding to concerns raised by Writer Fox, I conducted the experiment of searching for text contained in several articles that were featured on the InfoBarrel home page, and which had been online for about a month. That’s plenty of time for them to have been indexed by search engines, but only one of four was found by Google. As I mentioned, I’ve never written for InfoBarrel. But all the commentary I’ve seen in my research concerning the site has been negative about the amount of traffic IB receives at this time. Another issue to take into consideration when considering InfoBarrel is the fact that its terms of service give the site the right to display your work in perpetuity, should they desire to do so. You cannot directly delete your articles from the site, and must put in a request to their Admin to have it done. Legally they would be within their rights to refuse to do so. Bubblews is well known for its history of initially offering writers an extraordinarily high rate of pay (in the beginning it was one cent for each view, comment, and like), but then simply failing to pay many of those who invested their time and energy in producing content for the site. With recent policy changes that have reduced pay rates drastically, while officially confirming that much of the money owed members for past postings will never be paid, writers have been leaving the site in droves. Yet, Bubblews remains second only to HubPages in the amount of traffic it is now receiving. That traffic, however, no longer translates into substantial income for writers. I still have more than 600 articles on the site, some of which clearly were receiving traffic from search engines. Presumably at least some of that traffic is still being received (there is no way to know since Bubblews stopped reporting view counts). If Bubblews is paying anything at all for such residual views at this point, I haven’t seen it reflected in my “bank” on the site. Yet, Bubblews still appears to rate highly (compared to similar sites) in terms of its per-article pay rate. Here are the results of a little experiment I did to compare Bubblews with Persona Paper, which, at $3 per 1000 unique views, has the highest promised per-view pay rate of all the sites. The initial Bubblews pay rate for a single article actually compares well with what could be achieved on HubPages. However, there will be no passive income at all. That few cents the article generates when it is first published will be all it ever earns. And of course, with Bubblews there’s still the issue of whether those earnings will actually be paid. Of the three, the best producer of traffic for me has been Writedge. Over a six-month period, during which I added 23 articles on Writedge and 21 on Daily Two Cents, Writedge produced a total of 1784 unique views while DTC recorded 555. In about five weeks on Persona Paper, my 18 articles received 176 views. Persona Paper is producing income for me at a greater rate than Daily Two Cents. Each view on Persona Paper is worth twice what it is on DTC or Writedge, and those views seem to come more quickly. 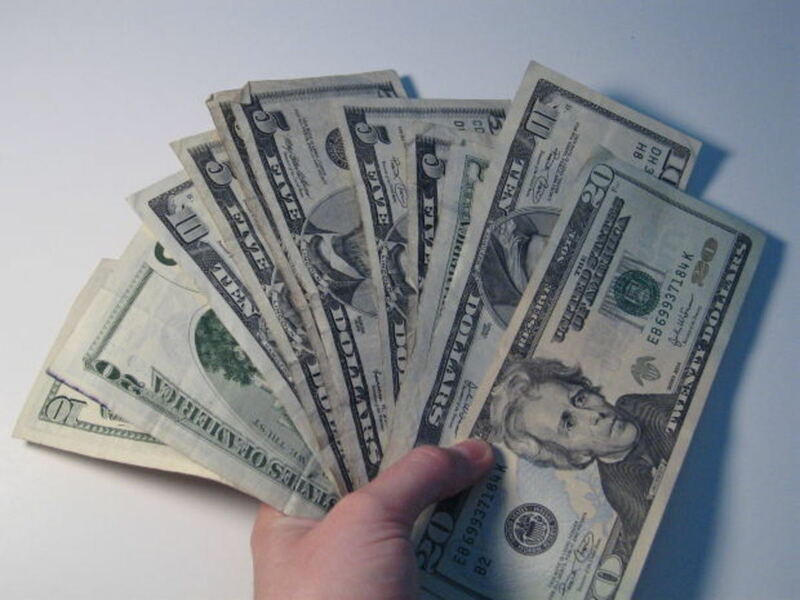 However Writedge has the advantage of also providing passive income over time. I see Writedge traffic every day, even when I don't add any new content. DTC has generated only a small amount of passive income, and so far, Persona Paper has produced none at all. The lack of passive income on Daily Two Cents and Persona Paper may be due to the fact that my articles on those platforms, which require only about 100 words per post, are too short to be well ranked by search engines. My Writedge content, on the other hand, is usually in the 500 to 800 word range. It's very possible that if I posted longer articles on DTC or Persona Paper, they, too, could generate passive search traffic. Most of the comments I've seen by recent users of this site has been to the effect that writers have gotten some traffic, but their earnings have been very meager. My conclusion, from what I've seen, is that achieving a decent pay rate requires writing articles that stimulate click-through sales. Since that's not the kind of articles I write, I quickly crossed Wizzley off my personal list. This site has totally changed its business model. It no longer pays writers for articles. Far, far worse, in my opinion, its Terms of Service explicitly state that just by submitting material to Seekyt you transfer the copyright to them. In other words, anything you submit to Seekyt will from that moment belong to them, not you, and you will be paid nothing for it. Not a particularly good deal for a writer! Aside from HubPages, which site do you think may best meet your needs as a writer? NOTE: My conclusions listed in this section have changed. Please see update below. Since HubPages is my main site, and will remain so, my purpose in this exercise has been to choose one or more auxiliary sites for purposes of diversification and as places to post articles that are not well suited to HP. As mentioned above, I quickly scratched Wizzley and Seekyt off my list because I don't write the sales oriented articles those sites seem best suited for. I also eliminated InfoBarrel from consideration due to concerns with search engine ranking, and with not having the freedom to delete my content from the site whenever I choose. After considering the other sites, I've decided that for me the two best avenues for diversification are Writedge and Persona Paper. Although there are viability questions with both sites, I've found the respective Admin teams to be helpful and forthcoming when I've contacted them. At this point I trust them to be open and honest about what is happening with their sites. Writedge has proven that it can produce passive income. I've already reached the $5 payout once, although that happened before the reduction in the pay rate from $5 to $1.50 per thousand unique views. Downsides to Writedge, as well as Daily Two Cents, include the fact that the sites have technical issues that prevent them showing the number of views each article is receiving. Also, outbound links are limited and must be embedded in the article text. For me, that means Writedge is basically useless for linking to my articles on other sites. But the site does produce search engine traffic for me, and that's vital. I like Persona Paper because of its relatively high pay rate for each view of your articles, and because you can also be paid for commenting on the posts of others. A significant downside to Persona Paper is the payout threshold of $20. I looked at the profiles of a number of writers who have been active on the site for at least several months, and none of them appear to be anywhere near reaching payout. (However, one writer with a multitude of social media contacts did it in less than a month!). Persona Paper differs from Writedge in that stand-alone links to other sites are allowed if done appropriately. Although its traffic numbers are very low at this point, I like the site well enough to give it the opportunity to prove it can produce passive income. I'm going to place some longer articles there, and see if they get any search traffic. One important conclusion I reached as I looked at Writedge, Daily Two Cents, and Persona Paper is that passive income is an absolute necessity for these sites to be viable options. With their payouts of $1.50 to $3.00 per 1000 unique views, the amount of money I earn on these sites through the views my articles get when first published works out to literally pennies per hour. Unless my work continues to earn through search engine or social media traffic, posting on these sites is simply not worth my time. My purpose in this report has been to share what I've discovered in trying to find ways of diversifying my own writing. My conclusions are heavily weighted toward what I think would work for me as an individual. I do hope, however, that the information that underlies my conclusions may be of use to others. Effective immediately (Oct 1st) we are changing our pay model on Daily Two Cents and Writedge to adshare instead of pay per view. We’re not happy about doing so, but have come to the conclusion that it’s the only way to keep the sites sustainable so we don’t have to worry about ever having to take them offline. . .
We’re sorry, but it’s been over 2 years and we finally just have to admit that pay per view isn’t sustainable without 100x the traffic we’re getting. Since I don't think an ad share model works for me personally, I can no longer consider Writedge to be one of my preferred sites. On January 30, 2016 PersonaPaper announced that they will be shutting down. Sorry, Jeff. I don't know about that. I have an account on Medium and my articles are eligible for payments but I do not have a Stripe account. What can you advise me to do? Thanks, Jeff. I think you're right - HP and Medium are the best venues for writers. I've signed up for Medium, but have yet to publish an article there. But that's coming! Thanks for the informative article. I have really enjoyed it. Your insights are excellent. I think I will stick with Hubpages and Medium . I was petrified by the numbers. No site is too big to fail. You have sounded the warning bell. Thanks, Kathy. Medium seems to be a well-regarded platform. Their model is different from here, but I think it would be worth your while to check them out. I've joined, but haven't published anything there yet. Interesting article. I have not published many articles and still not sure I am hooked up properly to be earning. 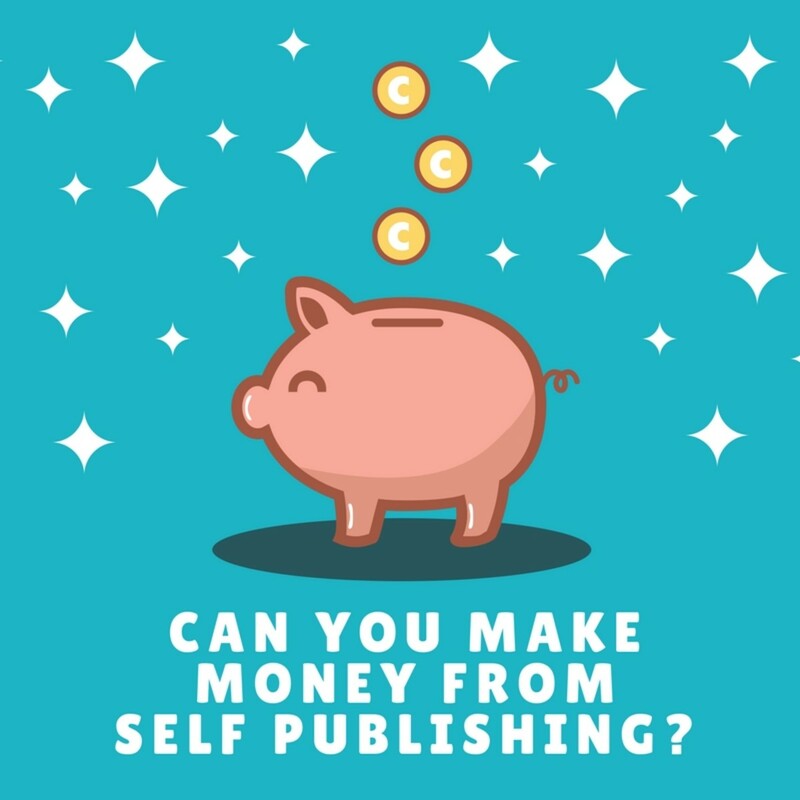 But I initially joined to get feedback from other writers vs. earning money. I now get emails from a group called Medium. It appears to be another potential site for writers. Do you know anything about it? If the algorithm had a personality I'd describe it as Scrooge McDuck. I had one article that was rejected because they say it contained violations. The article was innocuous. I challenged them on it and they accepted the article. It probably had some keywords the algorithm didn't like. In 2018 it suddenly felt like I was working for free for hp. The social media experiment worked on cue to drammatically increase views which helped hp but didn't help me. Just prior to this one of my most viewed hubs was removed and then restored when I queried why this happened. This had never happened before. It was an article about the flaws in modern atheism. It seemed like one of the editors took personal offence to it. Subjective forces seem to be at work. Blame it on the "algorithm" ? That is odd since they seem to base the earning numbers on the sales and number of hits. I mean a lot of views. By "popular" do they mean liked by the people who read it or the article gets a lot of hits? Of course I've studied the site's learning centre, but as I said it seems they expect a lot more than good featured popular articles! I have spoken to the editors and they categorically state that just because an article is popular and featured does not mean it will earn! In my opinion a popular featured article should be earning and assisted by hp. It seems that HP is expecting a constant weekly or daily tweaking of every article and/or they need to also approve an article on subjective grounds to give it more promotion, even if the article is featured and popular. This is called "moving the goalposts". I haven't got time to tweak already featured popular articles or to be a social butterfly on hubpages. Hi, Andrew. 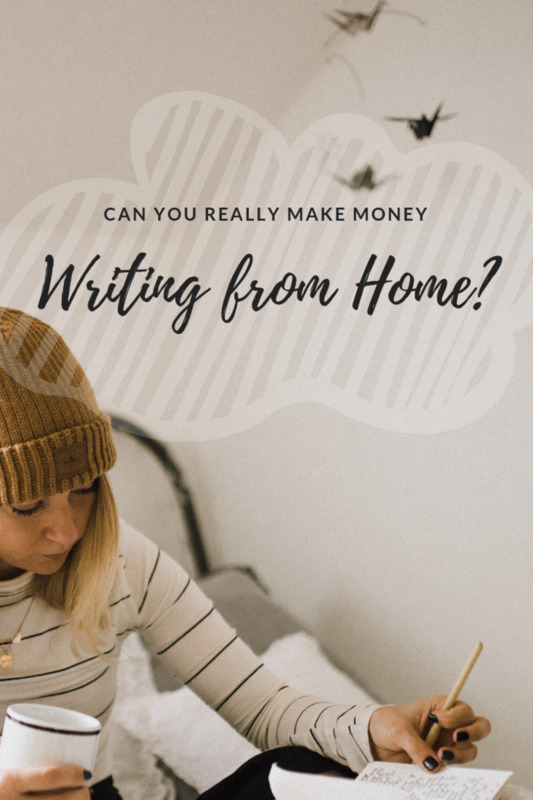 I'm not sure I followed everything you were trying to say, but I can tell you that it's certainly possible to earn from your writing here on Hubpages. It's not quick or easy, but HP continues to provide writers with one of the best opportunities for both exposure and earnings available on the web. If I understand you, you suspect HP of bad faith with writers. That has not been my experience. But a lot has changed in the last 5 years. My suggestion would be to start working your way through the Learning Center to get up to speed on what's expected now. It will take some work, but I'm convinced that putting in that effort can pay off for you. I've been with hubpages for 5 years and paid no attention to statistics about earnings until now. I was just enjoying writing a few articles with the long term goal of making money later. In 2018 I used social media to increase my views by 1,000% without any changes to virtually zero earnings!! I started a forum about it and was subjected to the usual bizarre unprofessional insults and personal attacks that forums seem to create. I noticed certain writers were clearly exaggerating their "earnings" and using dozens of tech abbreviations instead of explaining terms. In fact promoting themselves as professionals who can increase a writer's earnings etc. Some were claiming that the writer needs to do a higher level internet promotion of their articles, however this costs money! and a lot of time. I asked the Hubpages editors about it; in particular if each view would generate a bare minimum 1 cent per view but was told (paraphrased) "it doesn't work like that". Really? The constant maintenance of an article was also suggested and other methods. However this would be like doing a job without pay. Of course a certain amount of upkeep of articles is necessary, but every day? I had assumed the Hubpages site was doing all that was necessary to promote articles online with various algorithms, tech etc as part of the "deal": if we write articles that are featured and receive views the site does well and the writer gets SOMETHING etc. It seems financially fruitless if not even 1 cent per view can be generated by Hubpages or indeed any other writer's site. Yes I've read all the website's advice on these matters. In other words writing popular featured articles does not equate to earnings! There seems to be a lot of obfuscation which inevitably leads to writers spending more time on the website which only increases profits for the website. 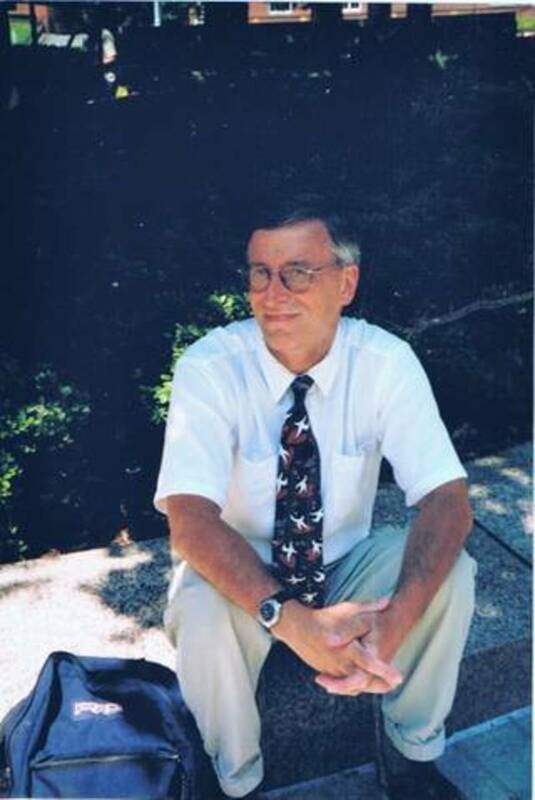 Robert, I think that the only viable revenue-sharing writing site left is Hubpages and its associated network sites. Infobarrel is hanging on, but its own writers have pronounced it dead in their forum. HP seems to be the last one standing. This is worrisome news about Harlow-McGaw. Do you think this is trend of a migration to successful writing farms or a trend of writing farms becoming extinct? Sherry, all the Harlow-McGaw sites, including Daily Two Cents and Writedge, as well as Craft Closet, were closed down as of 9/1/18. Although all articles on those sites are no longer online, it might still be possible to recover some of them. If you need to recover an article from those sites, you might try the suggestions in my article on recovering Bubblews articles at https://turbofuture.com/internet/How-To-Recover-An... .
Ron, Do you know the state of affairs at Daily Two Cents? I had one tutorial in Craft Closet and it can not be found. I noticed the FB page stopped posting in Nov. 2017. The fact that you can't delete your own content was a deal-breaker for me. Many on IB now are totally frustrated because the admins aren't responding and they can't get their articles deleted. Good information. I have some personal experience with InfoBarrel, I wrote there several years ago. It never received much traffic and worse, as an author you can NOT delete content. You have no control over an article once it's published. Admin does not respond to communication/requests to delete and the edit function rejects it when you delete the body of the article. I found this article very helpful. Obviously, a lot of research behind the hub. Thanks for posting and updating. i off to look at some more of your postings. This article was extremely helpful. I'm completely new to this entire business model, and your breakdown of the pros and cons of each of these sites helped me to figure out what I should be looking for. Thanks! Hi, Glenis. I'm glad you found the info helpful. I can't encourage you enough to stick with HubPages. I've been writing lately for sites that broker articles to customers seeking posts. I just finished one that specified 1250-2000 words for a price of $125. For me, that's like one of my hubs, which I write more for the joy of writing than for expected payment. I was offered the $125 assignment because they were very satisfied with my work on shorter pieces. When I started this more "professional" phase of my writing career, I realized I had already been well trained by writing hubs. So, although most of my hubs will never bring in that amount of money (several do, but certainly not most), my effort has not been wasted. Besides giving me the satisfaction of being able to write about what interests me, HP has trained me well for any writing assignments I might want to undertake. 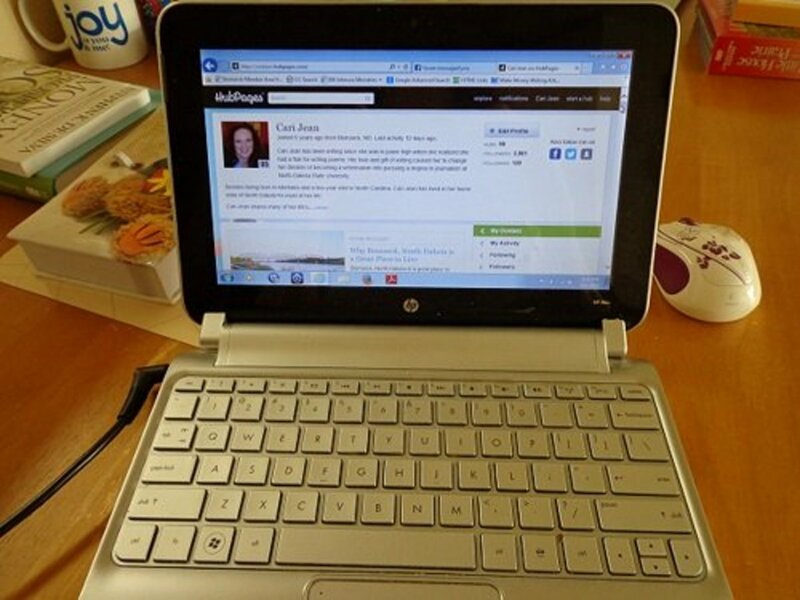 So, my advice is to enjoy writing on HP for the enjoyment of writing, and for the training it will provide on how to write for the web. Very useful information, as I'm relatively new to writing content and only write for Hub Pages. It's a useful way to hone my writing skills but I'm not anticipating much money, so look upon it as a hobby. However, I am beginning to wonder if the hours that I spend writing hubs is justified. Thanks, lambservant. Interestingly, it was by running into someone who wrote for Suite 101 that I was introduced to online writing. I never signed up with them, but it was by way of them that I got to HubPages. Regarding Examiner.com, it seems to me that I don't see them show up in search results like they once did. My impression is that they are less of a factor as a writing site than they once were. You are an excellent researcher. This article is very helpful to writers. I used to write for Suite 101, then they changed and I have not checked out their new site and business model. I liked writing for them. They had high standards and I did well there, but not financially. It was hard to get a payout, but I must admit I wrote less than 20 articles and the first few were really bad. Have you looked into Examiner.com? They are really different. I don't write for them much anymore. It's hard to get paid and whenever you go on their site to read articles the pop ups are so crazy I don't know how anyone reads them. However, if you have a lot to say under your given category it's a good place to share information. Nice work Ron. NateB11, I signed up with myLot a few days ago, and so far so good. I think that's where a lot of Bubblews refugees will end up. Many are already there. It's looking more like HP is the only viable writing site and your own site(s) is/are the only alternative(s). At least, that's how I'm seeing it. I gave up on Infobarrel awhile back, especially after they took more than a week to review some of my articles and then smacked them with bogus corrections, I felt it wasn't worth it to me to get trickles of traffic and struggle to get published. So, anything I don't put on my own sites or HP go to Wizzley, which is a site I like and is still alive. Thanks, LindaOH. Somehow I missed your comment two months ago, and in that time a lot has changed. Bubblews has shut down, and Writedge and Daily Two Cents have changed their revenue models. 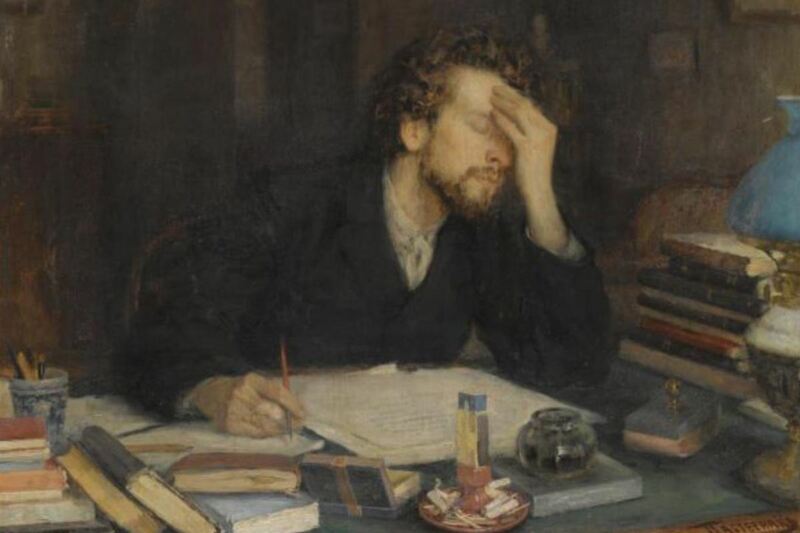 The writing world seems to be in constant flux these days. Ronald, Wizzley is a new one for me. I'll have to check them out. Used to write for Hub Pages a couple of years ago. Bubblews has pretty much tanked. Currently I'm going to start my 2nd article for Daily Two Cents; and I plan to write for Seekyt. Just a little "heads up" (I hate people that use that term) :-D , Seekyt has changed ownership; and their requirements are totally different. Kudos on a great article. CYA on Facebook! Hi, Brian. I'm glad the info is helpful for you. IMO gathering Writedge posts into an ebook could work well, provided, of course, those posts have some depth to them. That's the reason I wouldn't try it with PersonaPaper - it's just not meant for long, in-depth posts. What you see there are a lot of personal blog or Facebook-type posts. If one of my PersonaPaper posts runs to 1000 characters (not words), it's a really long one, and actually likely to be less widely read because of it. To me, placing a serious informational article on PersonaPaper would be a waste; I would definitely use Writedge (or, of course, HubPages) for that. This comparison of sites is very helpful to me. I conclude that I will focus my writing time on writing and trying to market fiction and on writing HubPages articles and that I will only occasionally post to Persona Paper or Writedge. What about the possibility of posting in Persona Paper or Writedge or a competing similar site on some topic for a year or more and then gathering those posts into an e-book? Thank you, Yvette. I'm glad it provided useful info. Thanks for an informative hub, Ron. I find your suggestions quite helpful. Thanks, kalinin1158. I'm using PersonaPaper for my short articles these days. I post one on Bubblews every once in a while just to avoid the possibility of being shut down for inactivity. Glad it's helping :) It's on Daily Two Cents now too. I think I saw you there as well. UberGeekGirl, I got my GA going for Writedge and it's been very revealing. The articles getting the most views are not what I expected! This is very valuable info, and I'm really glad it's now available. It's just been added to Writedge. You're welcome to test it out (put your GA code on your profile). Fingers crossed, UberGeekGirl. That will make a huge difference, and I'm definitely looking forward to it. Thanks, facetube. You are so right - we need viable alternatives as outlets for our writing, and I hope these sites can become stronger competitors. Useful topic, thank you for sharing! I hope those sites will upgrade continuously in future. Because good competition creates better progress. Thanks, Pjgermain. 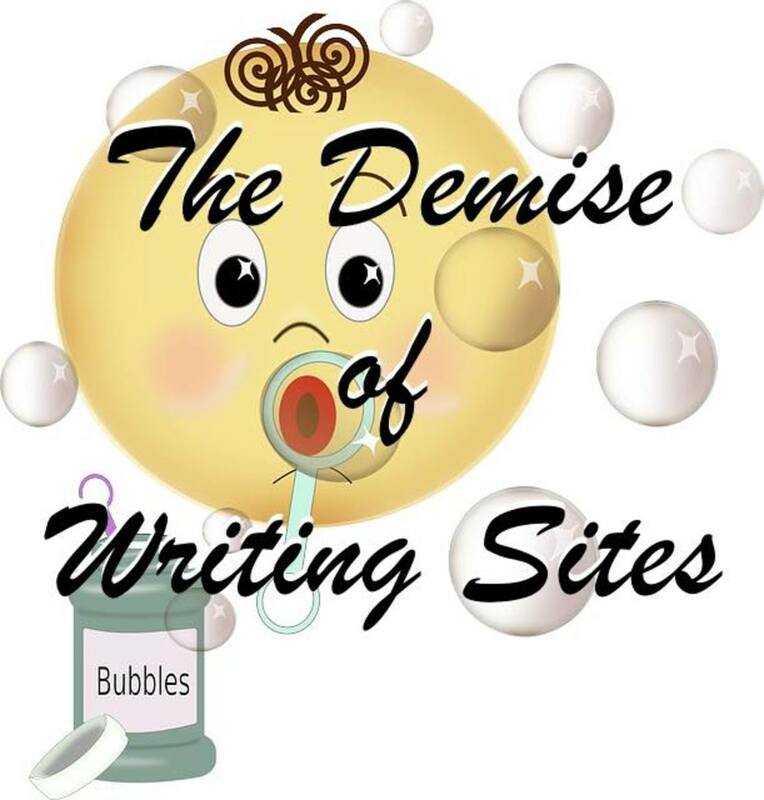 With shutdowns seeming to happen every month, the writing site landscape is becoming a something of a desert! You may be right about Bubblews, emge. It seems adrift at this point. Thanks for reading and sharing. Thank you, Thelma. Like you, I drop into Bubblews every once in a while, but it's definitely not worth spending any real time there. Now I use Persona Paper for the kinds of articles I used to put on Bubblews. Writedge continues to work best for me for mid-length articles that are unsuited to HP. Blogger as what ChristinS commented sounds appealing to me. I have to research though how to do it. Thanks for writing this well researched hub. Thank you, Emese. It's difficult navigating all the writing site options just now, and I'm glad I could be helpful. Thank you for this insightful and comprehensive article. I only started writing online a few months ago. Although my first choice was and remains Hubpages (I just like the community of writers here, I haven't made money yet), it is good to know what other options are there. Your comparison helps a lot. Very informative. Hi, NateB11. I see that CGP Gallery has disappeared again. Their site was suspended before, came back, and is now suspended again. Like you, I took a look at Milk the Blog and decided it wasn't worth my time. I'm not aware of any site built on the Bubblews model that's reporting a positive cash flow at this point, even with payout rates far lower than what Bubblews advertised. I read somewhere that this site called CGP Gallery basically never paid anyone, so I guess you could say they absconded with the money. Last I checked, the site has disappeared. It was a copycat of Bubblews and always looked shady to me so I never tried it. The other one that I don't think is paying anyone is Milk the Blog. Not certain about that one, but it wasn't looking good; admin said they were having trouble making enough money to pay people. Too many sites have been trying the Bubblews model of paying a cent a view; just doesn't work. Bubblews admin has already admitted to that. Thank you, AuniceReed. I'm glad you liked the hub. The site where one of the owners absconded with the money was the now defunct Elite Visitors. I think one thing the tables in the hub show is just how financial fragile some of these sites are. As you note, Seekyt was sold for $15,ooo. HP remains the most stable and profitable of the revenue sharing sites. correction: Seekyt is still going. Someone else bought it, I think. Hi RonElFran, Great and very informative hub. I just loved the table you put together. With everything going on with these sites, I'm beginning to believe they really are a waste of one's time. A co-owner of one of the sites, I can't remember which, just up and ran off with all the money! Oh yeah and Seekyt is no longer operational btw. I wonder if you'd be better off by moving most of your articles to Hubpages? Thank you, American_Choices. I have 3 WordPress blogs, and I have to say it's tough keeping up with all of them. Takes discipline! I don't utilize other sites. I was thinking about a WordPress site. This information is fascinating. Great report! Thank you! That's a great insight, angliterario. Thanks for sharing it. Hi, angliterario. I've looked at elance and odesk, and I kind of keep them in my back pocket in case I ever get to a place where I have to depend on writing for income. But at this point I definitely don't want my writing to become a "job" where my freedom about what and when I write is constrained. But in terms of income, I'm sure sites like those pay much better than any revenue sharing site could. Thanks for sharing. Hi, RajaSiwale. Sounds like you're systematically looking at possibilities, and that's great. I've not looked at Webanswers yet - I'll have to check it out. Thanks for sharing. Great Job. I am new in this online money making business and I am really lost in the woods of all these sites. I didn't know which ones work and which ones don't. My Google research gave me conflicting results. One person would speak so highly of one site, and the page right below them would totally trash the same site. So I decided to try them all and see which ones work. The best site for me so far is Webanswers. I have 400 answers posted in 60 days and I earn between $1- $2.5 per day, usually $1.5 with minimal activity. (I have only posted five answers this month of April and have $55 lifetime Webanswers earnings). I am on Seekyt, InfoBarrel, Wizzley, Hubpages (of course), Bubblews (don't post much) and today joined DTC. We will see which ones actually pay. I so far love Wizzley and Seekyt while Hubpages is my favorite and I will make it my main home. I hate that InfoBarrel seems to make gods of two authors only, when there are other great writers there. It becomes boring seeing the same two people every time you log in. Thanks, Robert, I appreciate that. Thank you very much. This is good information. Your research is great and it made for a very informative article. Thanks, PAINTDRIPS. I'm glad it's helpful. Hi, Catherine. I'm glad you found the info useful. Finding other sites to supplement HubPages is not easy these days, so I'm glad I could be helpful. This is so well done. I appreciate the research you put into this. So far I have not written for any other sites besides HubPages. I have thought about it, and you have given me the information I need to make a decision. Yes, melissae1963, in the beginning I found the Writedge format quite confusing. Even though I'm familiar with Wordpress on my own blogs, I found WE's version challenging and made lots of mistakes with it at first. But now I'm comfortable with it. I understand they've brought out a new interface for those who didn't like the old one, but since I'm familiar with the old one now, I still use that. My experience is that if you stick with it, you'll probably be able to adjust after a few submissions. Ive used Writedge since reading your article. Ive commented once already. My question is...do you find the Writedge format to be confusing to the point of complicated? Thanks, MariaMontgomery. Sounds like you're pretty well diversified already. PP is still showing low view counts, and I'm hoping to see them pick up as new people join the site. I hope your recipes do well, if you decide to put them there. You have some great information here. It's well-organized and concise. Thank you for all of that. I have 93 articles on HP 10 or 11 on PP and one on Seekyt. I have started one article on Wizzley, but have kept it in draft form, because I'm still not comfortable with how to use their editor., and haven't had time to learn it. I, too, see pros and cons with all of them. I also have 2 blogs, and plan to move my shortest hubs to the blogs or to PP where shorter articles are welcome. After all, there is only so much that can be said about a recipe. Thanks again for doing this research and publishing your findings. I appreciate that, Drew. Thanks for reading. Hi, Kristen. I, too, was on YCN, which, for me, was #2 to HubPages. My search of all these other sites has really been to try to find one to fill the gap left by YCN. Haven't found it yet! I'm sorry you lost some of your YCN articles. I have a several of my articles from there that I beefed up and republished as hubs. Most of the others I've distributed among the sites I wrote about here, but none of those have so far done as well as they did on YCN. Anyway, welcome to HubPages! And thanks for reading and sharing. Thanks for this. Great info! Great hub, Ron. I used to be on Yahoo Voices (aka Yahoo Contributor Network aka Associated Content) for about four years, until it closed last summer. I never did get my final payout after it closed last summer, which was about another 20 cents. Some of my HP articles were from YV. Some of my articles I should've downloaded last summer and post it here--I don't have them anymore. I wish I did. I've been here for about six months and slowly making money (except for ebay/Amazon earnings). I might consider the other websites in the future. Voted up for super useful! RustyW, I'm with you on not writing for the money, but appreciating it when a little comes my way. I find that I have to constantly remind myself that an article's money-making potential shouldn't be my first consideration in writing. Thanks for sharing. Very informative and well-written, it has caused me to again take inventory of my work and see how well its doing. Though I'm not in it for the money, as I consider my writing to be a labor of love; it is nice to see a few cents of appreciation from time to time...lol. Hi, Ronna Pennington. I'm glad the info is helpful. Thanks for reading. Thanks, Maggie Bonham. I appreciate that. Thank you, Besarien. I'm glad it's helpful. Thanks, Leptirela. I really appreciate that. I think HP deserves a lot of credit for their commitment to doing what it takes to keep the site viable. Looking at the carnage of fallen sites all around, it's obviously not easy. As you say, we writers have to up our game to have any chance of success in this very difficult environment. Thank you, Glenn. I've not looked at Persona Paper on mobile - I'll have to make it a point to see how it translates. I was having image problems there a couple of weeks ago, but it seems ok now. This is great! What a nice comparison resource for serious writers looking to branch out. I had never heard of some of these sites, so thank you. Voted up! On behalf of the rest of us, a big thanks for the time, effort and hard work you have done to collect this information for us. I totally agree now that HP is the best place for those who enjoy writing , but also it is the best paid even if it turns out to be 20p at the moment you are still 20p better off than anywhere else. 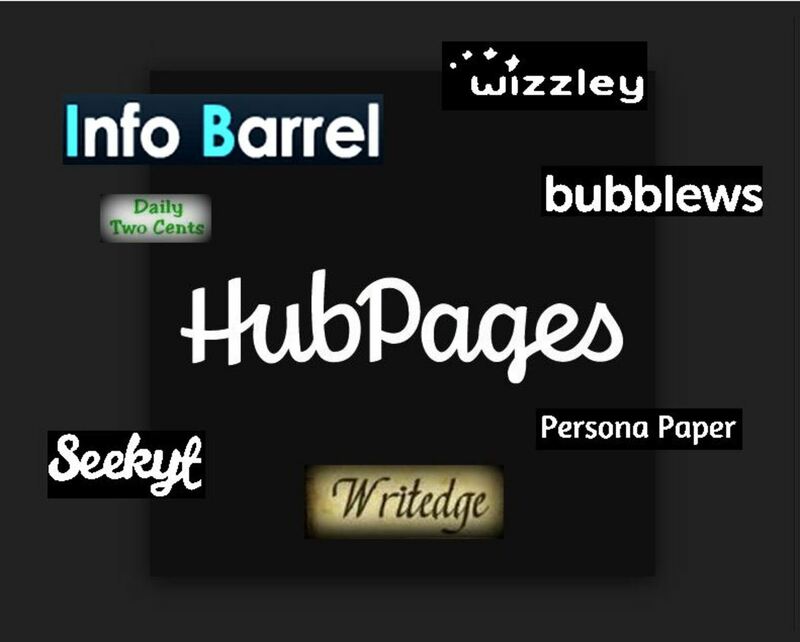 I have gone through many listed above, and HubPages is now again my second home. I am not extremely crazy about some of my hubs not being featured but I will work on that. You have totally broken this down to language everyone can understand. It is a very useful hub and I have no doubt it will answer many questions that online writers want answers to. Also I would like to state that I agree with Hannah above too, simply because people ARE adblind and the content must be engaging otherwise it will fall into a non featured category not just on HP but the whole net so to speak. Very well researched and written hub Ron. One thing missing from your poll at the end was "none" - since I could not consider any of them to meet my needs as an online writer, other than HubPages. Persona Paper may have been one to vote for, especially for short articles. But lately they are not careful with programming, such as bugs with images. Editing an existing post causes the image to get changed to the last image uploaded. Not sure if they fixed that yet after I reported it some time ago. I don't waste much time there. They also had a lot of trouble malicious code from an ad agency they use, that interferes with mobile user's experience. So, there's nothing out there right now for posting short articles that pays as well as HubPages. Guess I'll just have to stick with long articles. Thanks, so much, ChristinS. I think each site, whether HubPages or your own blog, should have a specific purpose in your strategy. As you say, for niche writers a blog may do better than any revenue sharing site. One thing about a blog: once you start getting repeat visitors who regularly check in to see what's new, you are less dependent on the vagaries of search engine exposure. Thanks for sharing, Hannah Writes. Well researched and interesting. I had been doing some writing on Bubblews but don't anymore since I believe they are doomed to failure and are not being transparent at all with their users any longer. My recommendation would be for niche writers to start a free blog on blogger. You have to maintain it and stick with it for quite a while, but over time they do get good traffic. I have one niche blog that I haven't posted to in months that gets over a 150 page views per day on older posts/pages. I love HubPages, but I think those seeking to diversify may not want to depend on revenue sharing sites and instead create their own. Your data was very interesting! Voted up and will share. Hannah Writes I have written here for over 6 years now and I do know how site owners work when they see $$$ in front of their eyes and how the writers get snubbed. Good or bad, it doesn't matter what or how good that you write...at least on here recently. I have written for a couple of other sites as well. Yes it is hard and is getting harder when Google is involved and how this stie caters to their dementia.